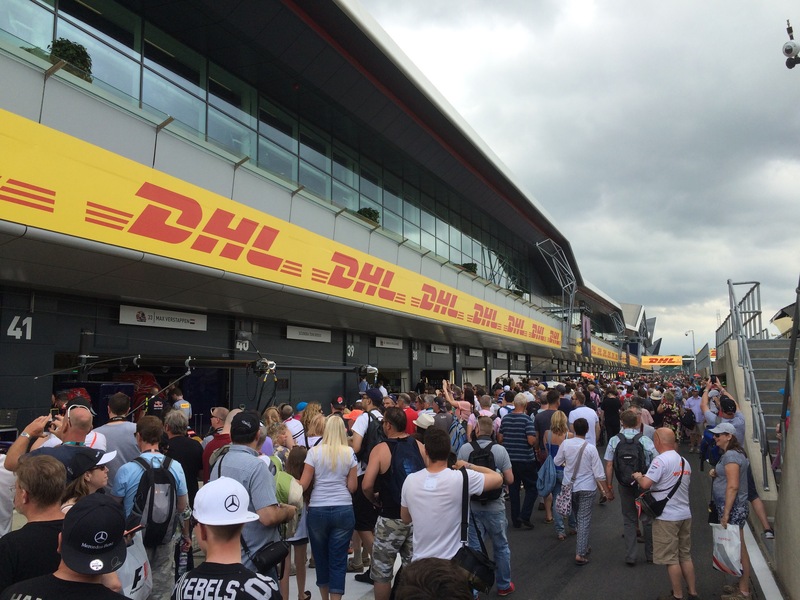 One of the benefits of booking your Silverstone GP tickets nearly a year in advance is the free opportunity to attend a pit walk on the Thursday before the Grand Prix. 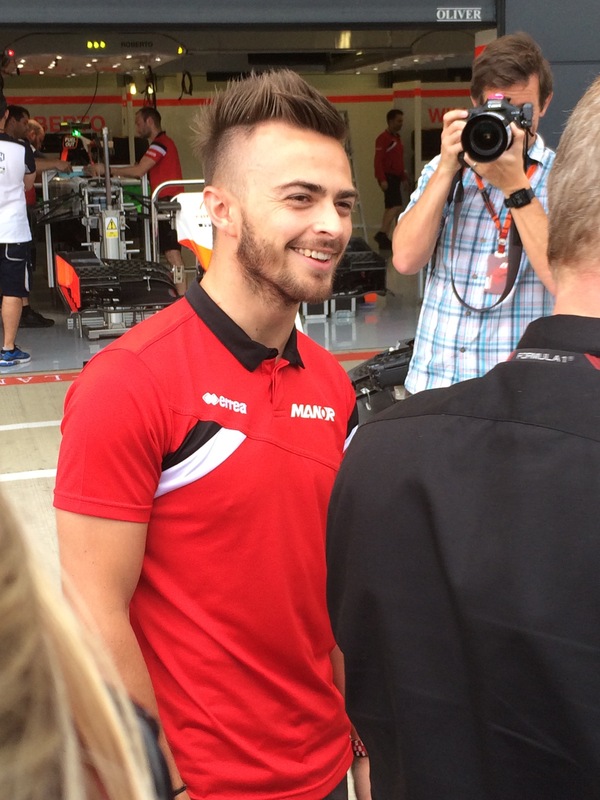 Yesterday the crowds were out in force but despite an initial queue nearly half a mile long, things progressed smoothly and everyone had a good chance to have alook in the team garages. 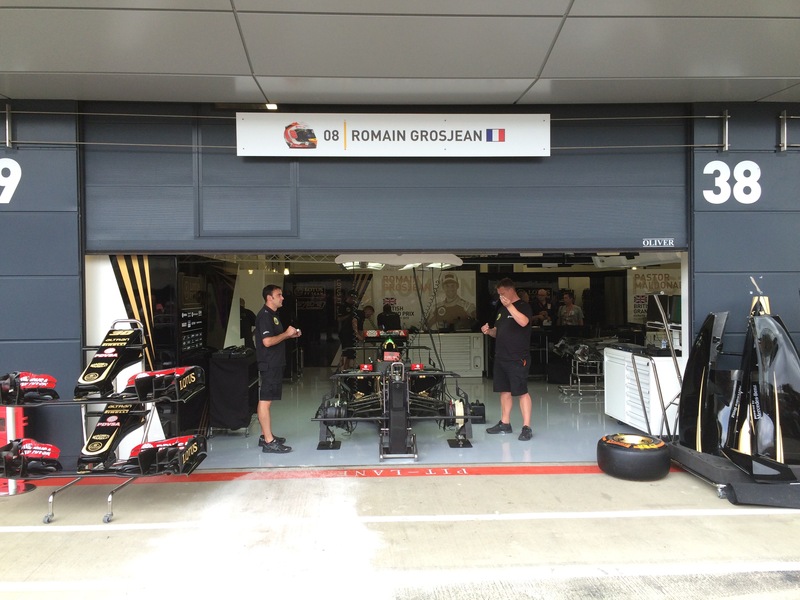 Grosjean’s Lotus looked neat – imagine what it looks like tonight, half full of gravel! 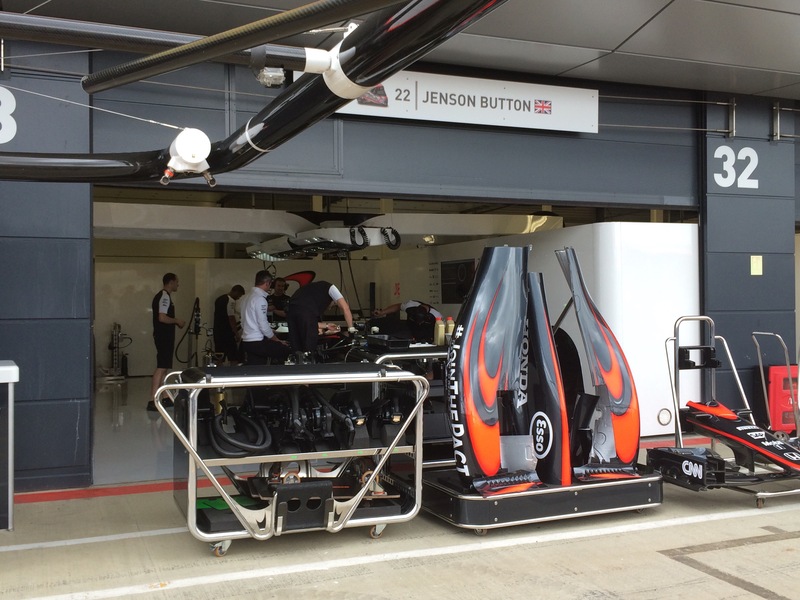 Jenson’s McLaren Honda was in pieces, semi shielded from the public by a convenient trolley and some body pods. 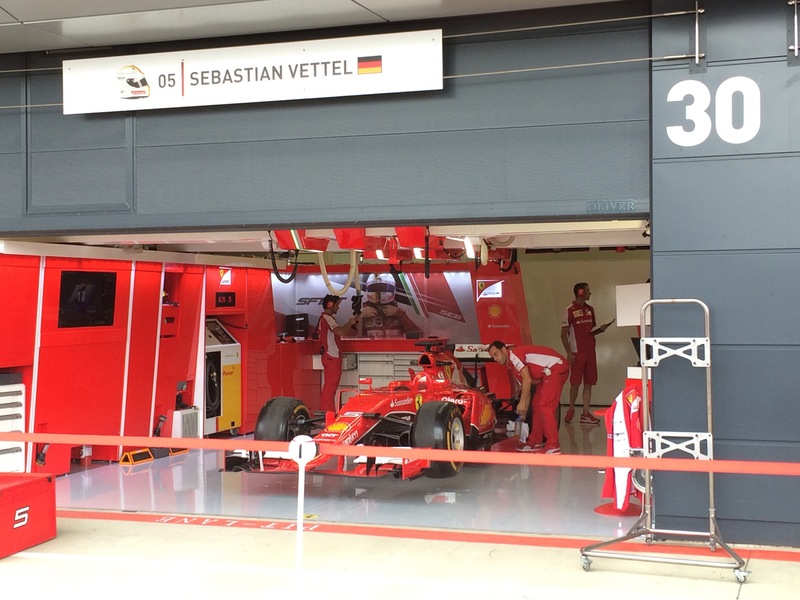 You could almost smell the despair..
By contrast Vettel’s Ferrari looked splendidly complete and ready for action. 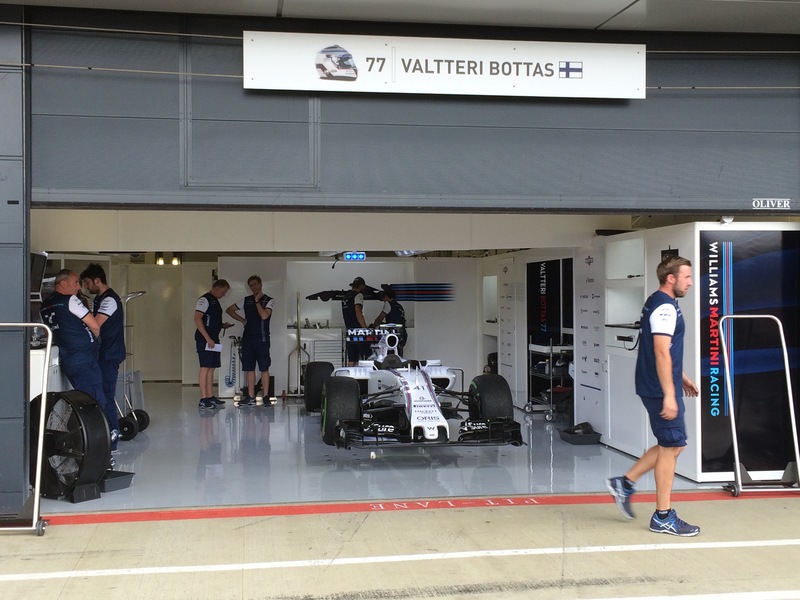 Similar clean efficiency at Williams. They should be strong this weekend. 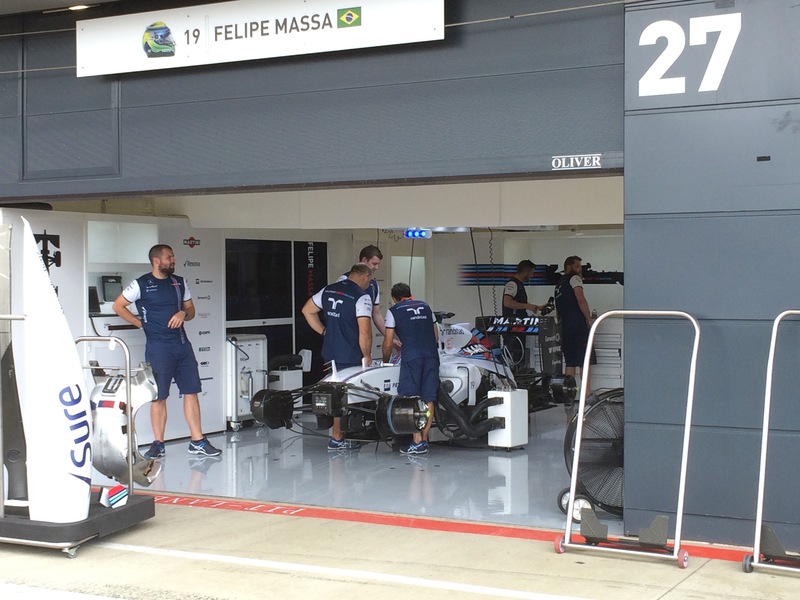 Bit more work on Massa’s car though! 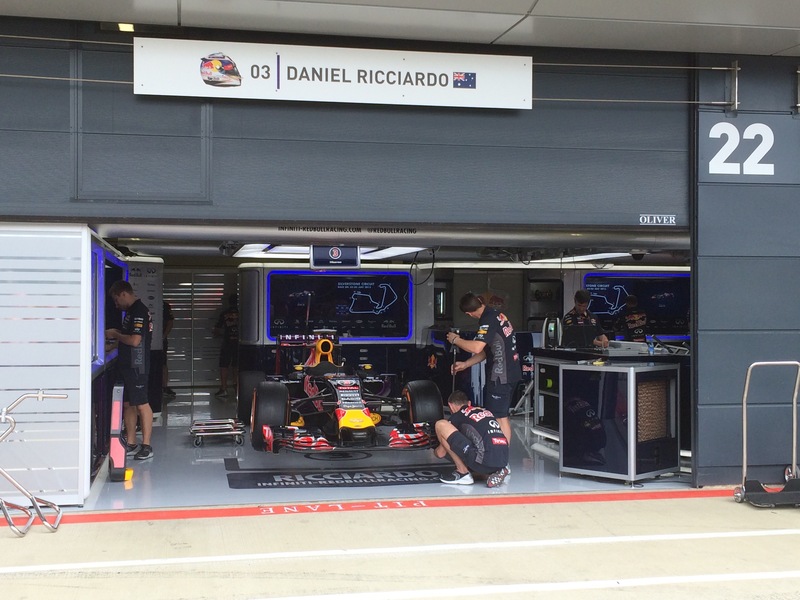 The chaps at Red Bull were preparing Ricciardo’s car to a thumping house music beat. The other teams worked in silence. 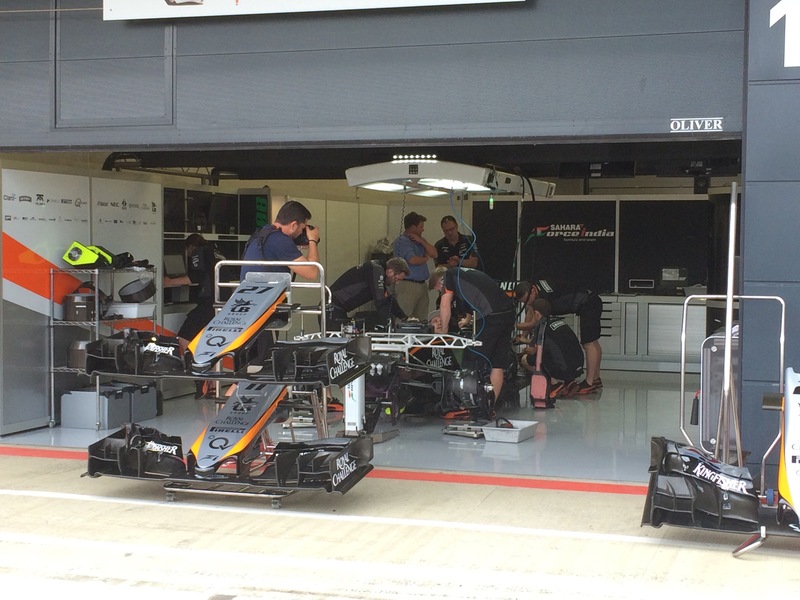 Deathly silence over at McLaren.. 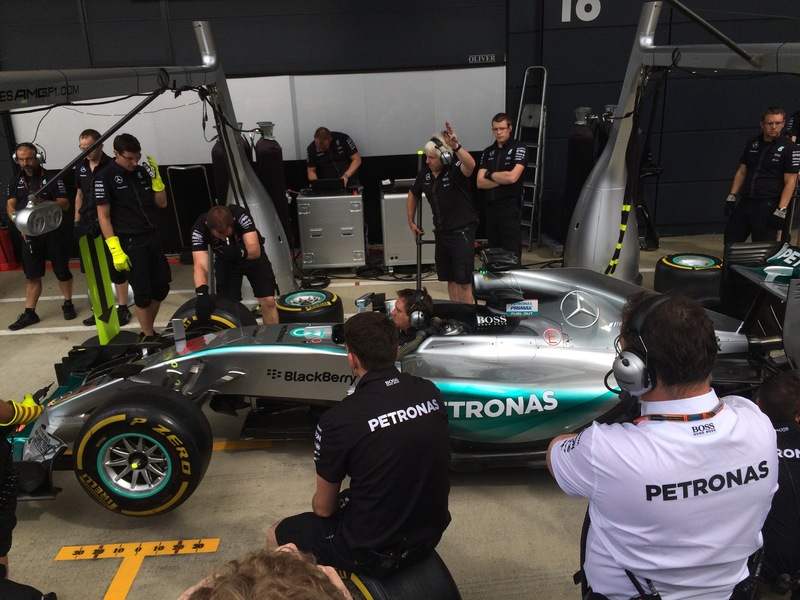 Meanwhile Nico Rosberg’s crew practiced tyre changes to the delight of the crowd. 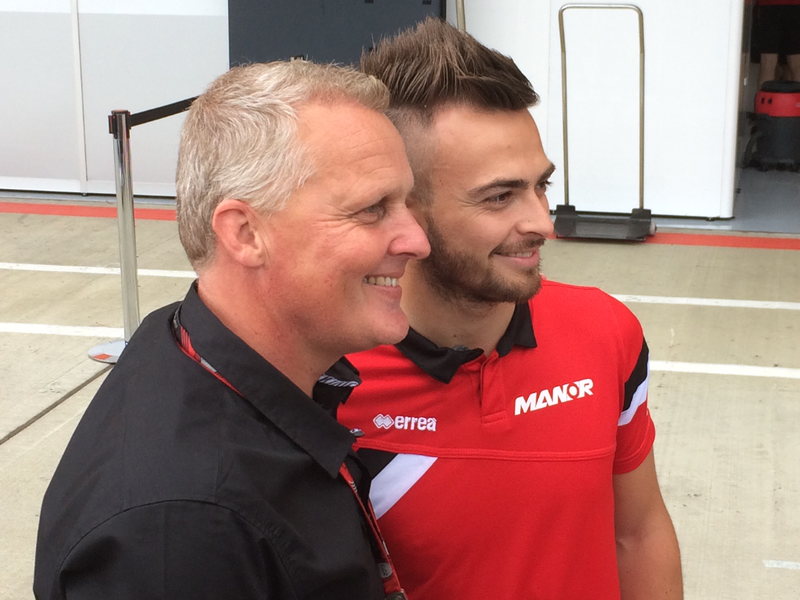 Former British GP winner Johnny Herbert was able to share some race tips with young Will Stevens of Manor. 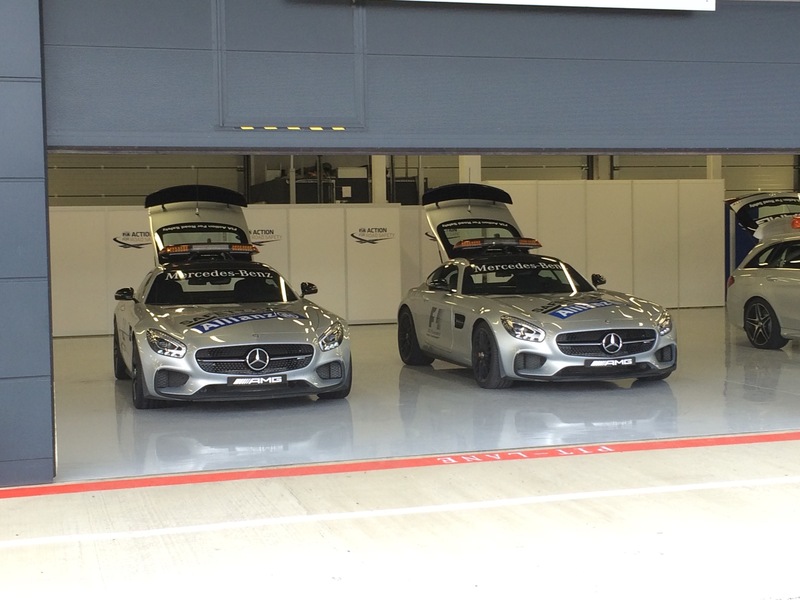 New AMG GT safety cars. 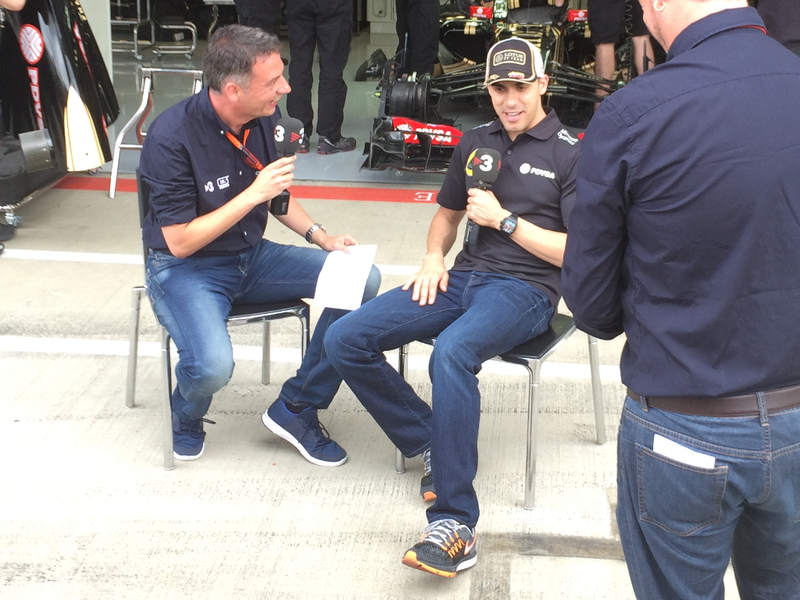 Nice looking but lets hope we don’t see much of them all weekend.